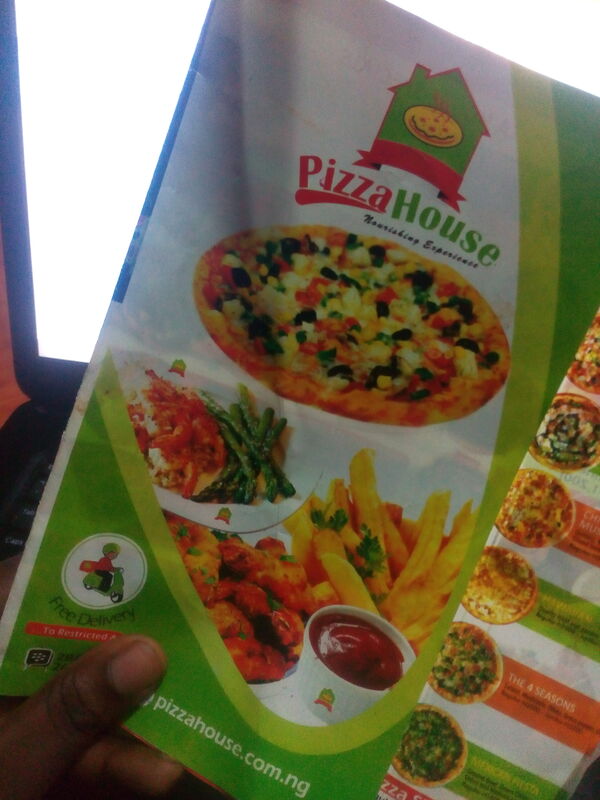 I had heard about Pizza House’s amazing pizzas and was really eager to try out the establishment. I checked out their website and found that their main branch is in Ogudu, however, they also happen to have a branch at AOS mall. Initially, I’d planned to place on order online, but decided it’d be more fun to visit the Pizza House AOS Mall location with a friend. Pizza House is located in the AOS Mall food court and is pretty easy to find. Immediately I got to the counter, I was given a menu flyer. I was attended to by a very friendly and polite lady. I ordered the regular sized BBQ chicken pizza which cost 2,100 Naira. I specifically requested the pizza be made without onions. I also ordered a bottle of Coke which cost 160 Naira and a bottle of water which cost 90 Naira. I paid via POS as I am #TeamCashlessNaija and the transaction was successful. #ThankGod!!! We were asked to wait for 10 minutes and trust me to actually time them. In less than 10 minutes, the pizza was ready!!! Impressive. The regular sized Pizza House pizza has 6 slices and a thin crust. I was surprised to see 3 slices of BBQ chicken and 3 slices of another pizza flavor we hadn’t ordered. Apparently, the attendant had decided to partially swap out our order because she felt like we wouldn’t like the BBQ chicken flavor. At first, I was pretty confused because I was like “Who sent you?!?!?”. But after trying both flavors, I actually preferred the flavor we didn’t order, which we later learned was the Sweet and Tangy chicken. The Sweet and Tangy Chicken pizza was pretty AH-MAY-ZING! #DefinitelyMyNewFav! It had pineapples, peppers, tomatoes, etc. and sweet and tangy sauce. Plus, it’s actually cheaper than the BBQ chicken pizza (which wasn’t really good to be honest). 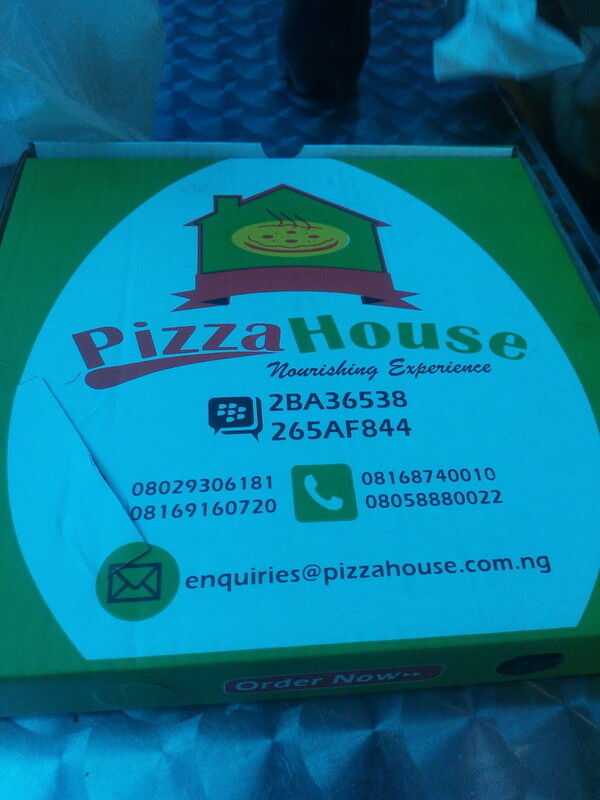 Overall, I will rate Pizza House a 9 over 10. I am a sucker for prompt service and they really delivered on that. The Sweet and Tangy chicken pizza is my absolute best and I’ll surely order that the next time I visit. I also like the fact that their pizza is very affordable, especially in comparison to other pizza options in the area. Each time i hear the word pizza!!!! 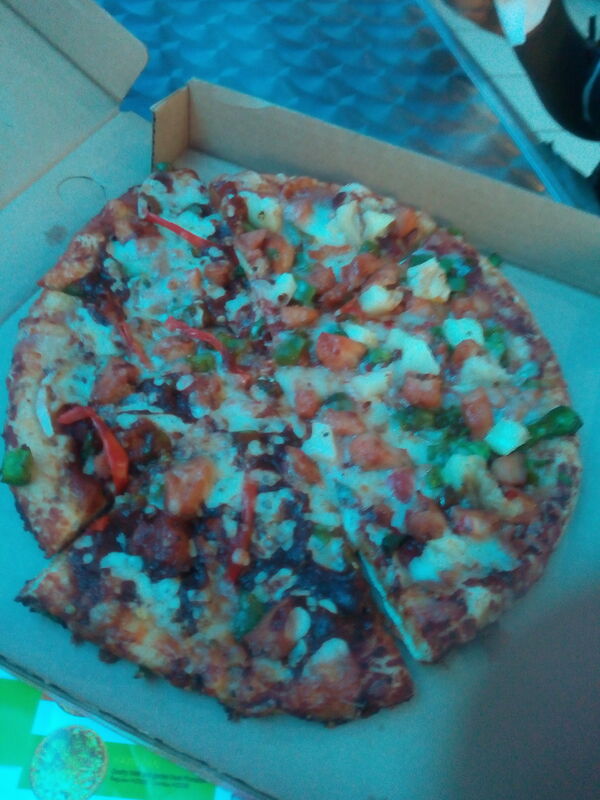 !, i’m always like douuuu (nooooo) , then one day my hubby took me to Pizza House Ogudu and bought me a pizza called Something Fishy because he knows i love shrimps, after taking the 1st bite , i was like My God, is this what they call pizza, i must finish everything oooo, pls believe me i didn’t know when i finished all, then i really begged my husband to kindly get me another box, but he insisted i taste another pizza, then he ordered Pizzawarma for me because he knows i love sharwama, Jesus as in Jesus !!! !, i will never forget my experience there cos both pizzas were really nice and those are what i’ve been taken since that day. Pls Pizza House don’t change the taste cos u really ‘ve a lovely pizzas. as in..the pizza was… PIZZA! she didn’t o, lol.. I agree its oversabi but I thank God the oversabi was a positive one. If it had tasted nasty, she would have been in for it. MMM…Did the attendant let you know before adding the Sweet and Tangy pizza to your order? Otherwise, this one is oversabi on another level. I think the right thing to have done here was for the attendant to let you know Before placing your order not Surprising you After!